Chances are that you have seen Graham's work without knowing it. Some of his fly patterns, which are so realistic they carry the West Nile Virus, have likely been used in your favorite television shows passing themselves off as the genuine article. Spend some time on his photography site - you won't be disappointed. 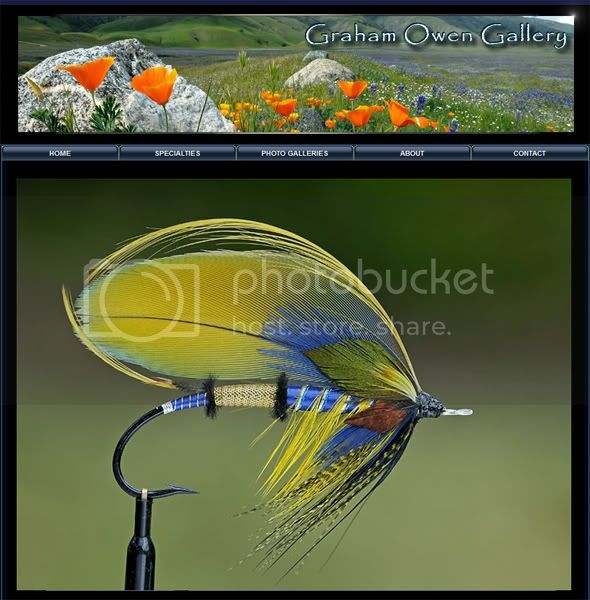 Click on the image to view Graham's work. I've also added a link in my Photography Sites section. His stuff is absolutely stunning. Thanks for sharing. I have always looked up to Graham and his photography. Early on he helped me quite a bit. His stuff is very clean!